Gunilla Petersson provides an overview of the inhalables sector from a pharma perspective, covering the three major device types – DPIs, pMDIs and nebulisers. Tom Oakley gives an overview of the state of connected devices in the drug delivery world, touching on various approaches, benefits and challenges in the sector today. Simon Drexler discusses lessons learned and good practices when dealing with uncertainty at the various stages of automation development for drug delivery device manufacturing. David Belton discusses the meaning of quality by design in novel respiratory drug delivery device development. 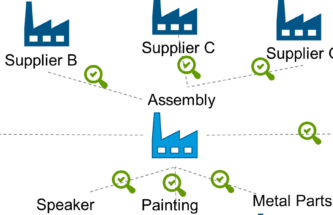 He covers how, with more novel devices, prior knowledge may be insufficient for a standard FMEA-style risk analysis, and alternate science-based methods, such as functional mapping and knowledge scoring, can help in achieving QbD. IS THERE A FUTURE FOR THE RESPIRATORY DELIVERY OF BIOLOGICS? 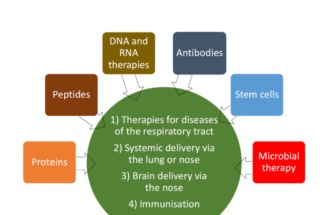 Igor Gonda covers the field of nasal and pulmonary delivery of biologics, considers past failures and successes, and proposes answers to the challenges faced, from biological, biopharmaceutical and commercial standpoints. Marino Kriheli discusses the need for closed-system transfer devices when handling hazardous drugs, particularly as they relate to investigational drugs, not only as key to patient and healthcare practitioner safety, but also in the context of upcoming US regulation. 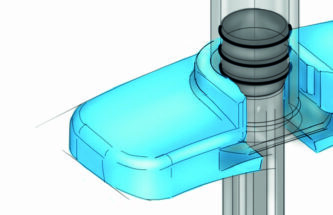 Stuart Curtis runs through six techniques which, in his experience, are invaluable for accelerating the early development stages of drug delivery device design and can therefore be of great use when trying to accelerate a product’s time to market. Lior Shtram discusses three approaches to delivering novel combination products – user-filled, user-loaded and prefilled – through the lens of sterilisation processes and requirements at the industrial manufacturing scale. Ursula Hahn discusses the value of individualised prefilled syringes and explains how small changes in design or components can make a huge difference for doctors, patients and pharmaceutical manufacturers alike. 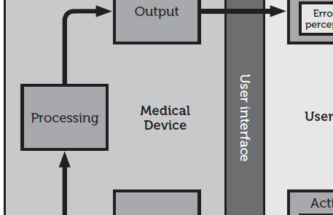 Charlotte Harvey and Tim Frearson overview the safety systems required when designing an infusion pump system, with a focus on free-flow prevention, occlusion detection and air-in-line detection. Natalie Shortt, Maija Smith and Venetia Dickinson discuss the US FDA’s Draft Guidance on how human factors relate to the ANDA process, and how its encouragement to stay close to the reference product may result in some negative consequences. Napoleon Monroe presents the case for the C-Container, a collective term for a theoretical class of consumer product designed to work with various drug delivery combination products. With the increasing use of intravitreal injections of vascular endothelial growth factor inhibitors in the treatment of numerous serious ocular diseases, Douglas Cusato provides a detailed comparative analysis of the issues at play. 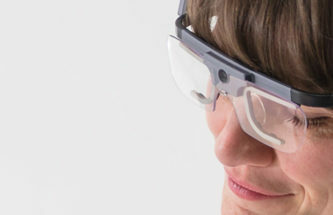 Philip Lance and Phil Seeney discuss the recent surge in the use of eye-tracking technology in the field of human factors, providing an overview of the technique’s history and how it may be applied to medical devices in the future. Tom Lawrie-Fussey and Lucy Sheldon introduce “Wizard of Oz” testing, named after the classic novel and film, whereby experimenters can field test concepts at a very early stage by giving the illusion of a finished product, saving potential costly and time-consuming changes further along the development process. 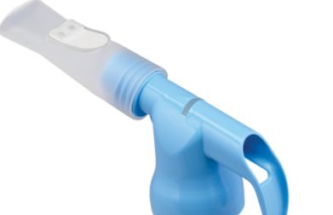 John Pritchard discusses the history of the nebuliser, its fall in popularity with the advent of DPIs and pMDIs, and its current resurgence due to the success of the mesh nebuliser, continuing on to how changing the development paradigm to utilise nebuliser technology more effectively can have significant benefits. Massimo Mainetti presents a brief overview of the current state of play in the field of novel biologic medicines as they relate to drug delivery. Natalie Shortt covers the topic of the “Perception, Cognition, Action” model of risk assessment of medical devices, from both a proactive, early-stage design and a reactive, late-stage validation testing perspective. Mark Tunkel discusses the benefits of mapping the patient journey when looking to select a platform device for a new drug-device combination product. Justin Schroeder discusses patient-centricity, particularly how it relates to clinical trials in the modern global landscape of the pharmaceutical industry. Looking back on the developments in large volume injectors since his article in ONdrugDelivery’s 2014 issue on wearable injectors, Paul Jansen reflects on the state of this technology space today, how it has progressed and the value it is likely to offer. 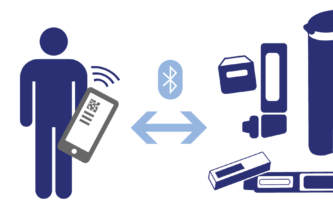 MOBILE DEVICES AND USE-RELATED RISK – TIME TO REINSTATE DETECTABILITY? 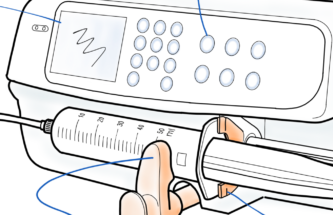 Richard Featherstone makes the case for designing detectability into the user interfaces of wearable devices, enabling the user to be an active part of ensuring the device operates safely, as intended. Presented from both the technology and formulation perspectives, Nidhi Prakash Sapkal and Anwar Siraj Daud discuss the challenges of industrialising oral thin films, a promising but difficult dosage form. When discussing the industrialisation of drug delivery, it is natural to focus on the processes and management of manufacture. Napoleon Monroe provides a different perspective on the idea of drug delivery’s “Industrialisation” and what that might mean in the modern world of service industry. It is difficult to successfully scale-up a product to industrial production and launch, but it is much harder if design fundamentals are not adhered to. Beth Blackburn details the need for setting down requirements early in device development in order to avoid inadvertently undermining a product’s successful commercialisation. A “KODAK” MOMENT FOR THE PHARMA INDUSTRY? Pari Datta and Nick Rollings discuss the concept of personalised medicine, with particular reference to oncology, and how it represents both an opportunity and a threat. David Belton highlights an often undiscussed aspect of the move towards connected drug delivery devices, the impact on manufacturing. 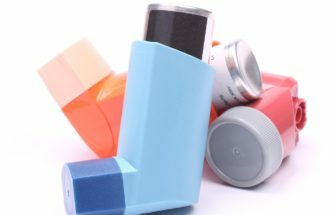 Using inhalers as a reference point, he runs through several of the concerns and decisions that will need to be addressed for successful mass production of such devices. Antonio Teglia and Devon McCrossin discuss the increased importance of proper supply-chain management when it comes to mitigating the inherent production risks of today’s increasingly complex drug delivery devices. Jonathan Gaik discusses the various problems in tablet compression that can be caused by not giving due care to powder flow in the development stage and how, by doing so, what would be serious problems at the industrial scale can be solved in advance. Damon Smith, Richard Dart and Christopher Hirst discuss the causes and possible solutions to the prescription opioid epidemic, as well as whether or not Europe is likely to face a similar fate. Oral films are a relative newcomer to the drug delivery space, though one with considerable potential. Rob Davidson and Jessica Rousset give an overview of this dosage form, from formulation through manufacturing to future outlook. Rashmi Nair discusses the persistent challenge presented by poorly soluble drug formulations in oral drug delivery. Furthermore, she goes on to highlight the promise shown by amorphous solid dispersions, despite the difficulties they present. 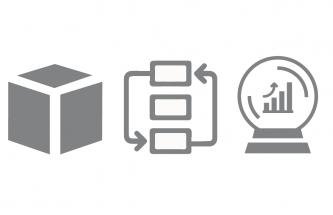 NORMALISING CONNECTIVITY – COULD UNCONNECTED DEVICES BECOME THE EXCEPTION? 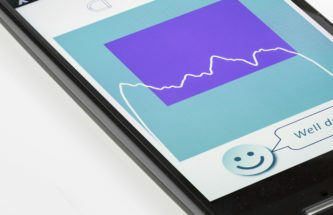 Charlotte Harvey ponders the prospect of connectivity becoming the baseline for drug delivery device design – at what point will drug delivery devices without connectivity become the exception? 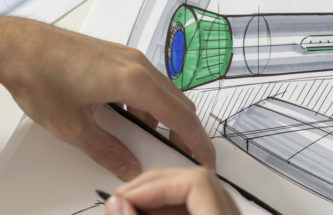 Alexander Dahmani sheds light on some of the factors, beyond technical design and capabilities, involved in bringing a connected device to market. As the drug delivery world moves to embrace big data, it is important to remember that unseen risks await the unwary. Tom Lawrie-Fussey explains further. Mark Turner explains the process involved in ensuring that pharmaceutical containers do not inadvertently transmit toxic substances, while maintaining the effectiveness of the active pharmaceutical ingredients (APIs). 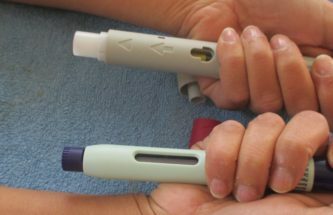 With an eye on the current trends and range of innovations in the sector, particularly data and connectivity technology, Uri Baruch, Head of Drug Delivery, Cambridge Design Partnership, looks back on how far injectable drug delivery has come in the past thirty years, and forward to what the future may hold. In the modern world of injectable drugs, one of the major considerations for pharma is choosing partner companies for the development and manufacture of the injection device components. Adam Shain, discusses several of the considerations that go into ensuring that the best possible partner is selected.